The next European Commons Assembly will be in Madrid in October. You can still be a part of it: Click here to join. 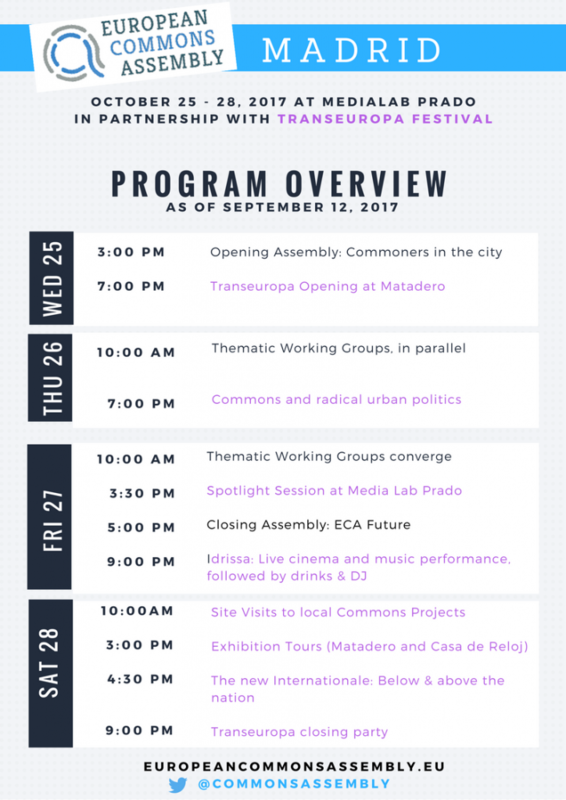 In cooperation with the Transeuropa Festival and MediaLab Prado, the assembly features 4 days of workshops, visits to local commons initiatives, debates, talks, art and parties in the heart of Madrid. An eclectic mix of commons activists from all over Europe will get together to discuss the commons and the future of Europe. The European Commons Assembly starts on Wednesday (the 25th of October) and ends with a closing assembly on Friday (the 27th of October). 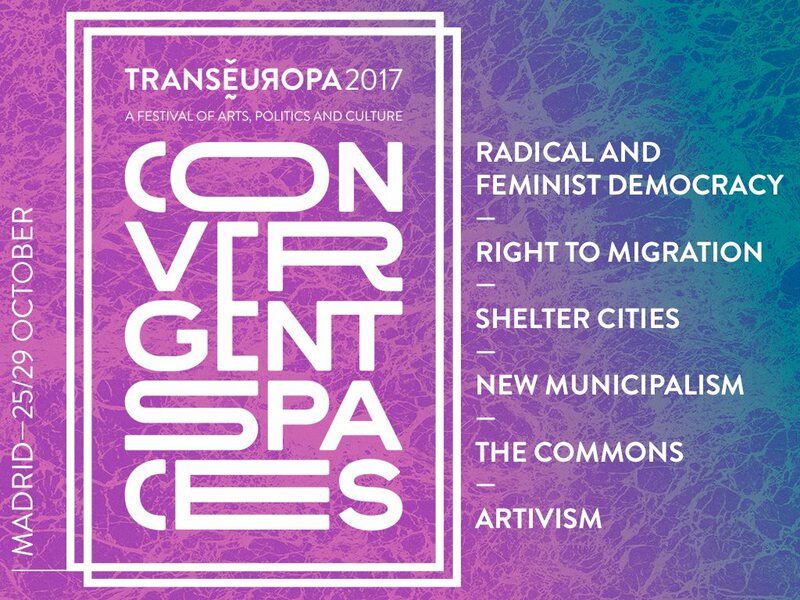 Saturday (October 28th) will be filled with trips to local commoning sites around Madrid and exciting sessions organized by Transeuropa Festival in the afternoon. Workshop themes include ‘Participatory Tools for Democracy’, ‘Right to the City’, ‘Law for the Commons’, ‘Data Commons and the Collaborative Economy’, ‘Food’, ‘Health and Leisure’, and ‘Solidarity as a Commons: Migrants and Refugees’. Are you interested in the Commons? For more updates, follow us here on Twitter or join the event here on Facebook. We hope to see you in Madrid! 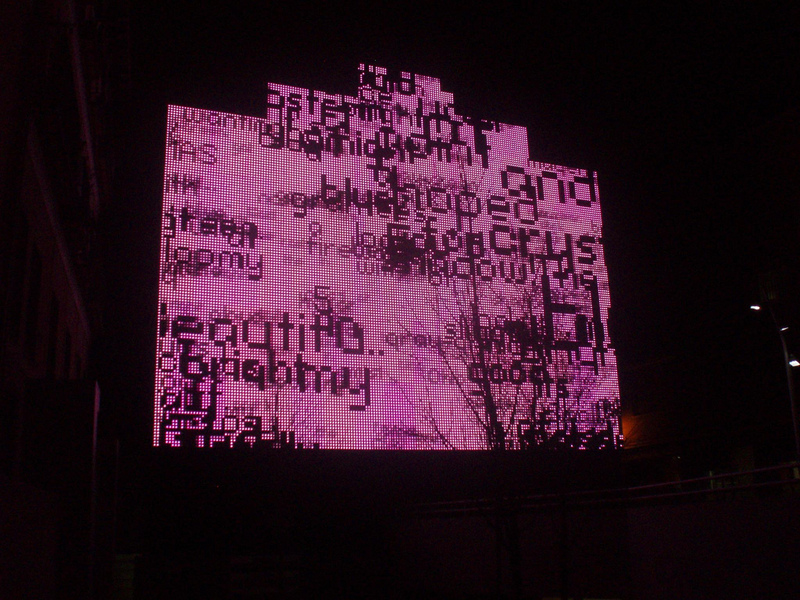 Reposted from the Commons Network newsletter.